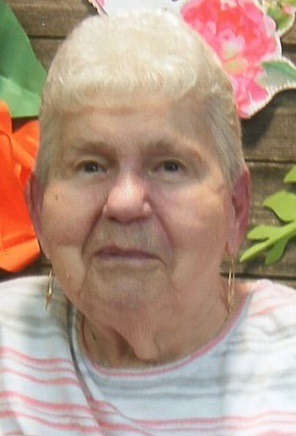 Patricia “Patti” Ann Sawyers, 86 of Elkhorn, WI, died Tuesday, March 26, 2019 at Lakeland Health Care Center in Elkhorn. She was born April 1, 1932 in Elkhorn, WI the daughter of the late Howard and Ethel (Finley) Pfaffenberger. Patricia married Robert D. Sawyers on April 4, 1964 at St. Patrick’s Catholic Church in Elkhorn. Bob died October 8, 2006. She enjoyed playing cards, and was a member of the G.G.G. (Golden Goose Gals) Investment Club. Patti was a loving and devoted wife, mother and grandmother. Patricia is survived by her two children: Howard (Tracey) Sawyers and Robin Sawyers both of Elkhorn and her two grandsons: Zachery Sawyers of Elkhorn, WI and Jacob (Emma Olson) Sawyers of Stevens Point, WI. She was preceded in death by her husband of 42 years, Robert, her brother, Jack and sister, Eleanor. Funeral Mass will be 11:00 AM on Monday, April 1, 2019 at St. Patrick’s Catholic Church, 107 W. Walworth St. Elkhorn, WI, with Fr. Oriol Regales officiating. Visitation will be 8:30 AM to 10:30 AM on Monday, April 1, 2019 at Haase-Lockwood & Associates Funeral Homes and Crematory, 730 N. Wisconsin St. Elkhorn. Online guest book at www.haaselockwoodfhs.com.